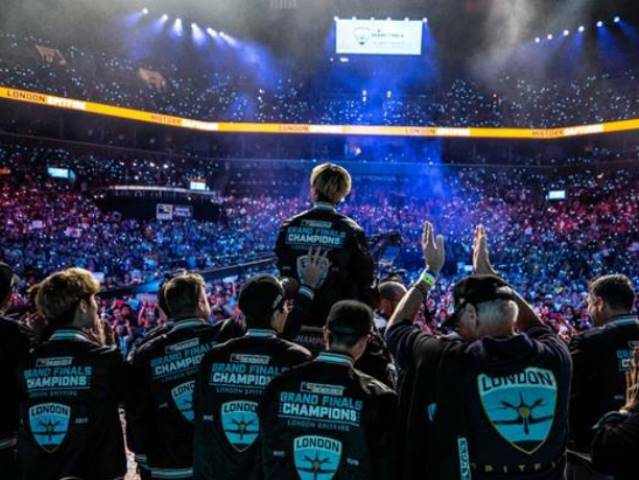 As the London Spitfire made history as the first-ever champion in Overwatch League history, Blizzard reports that the Grand Finals, running July 27-28, saw an estimated global average minute audience across both days of 861,205, with coverage spanning Twitch, MLG; in China on ZhanQi TV, NetEase CC, and Panda TV; and broadcast to domestic audiences on ESPN, ESPN2, ESPN3, and Disney XD, along with a highlights show on Sunday, July 29, on ABC. Diving deeper, the US average minute audience hit 289,175, with an estimated 45% of that total, or 129,792, falling into the 18–34 demographic. Worldwide, the 18–34 average minute audience was 605,013. Overwatch League returns to Blizzard Arena Los Angeles on Aug. 25–26 for the All-Star Weekend with that Saturday showcasing a series of custom skill matches, while Sunday will serve up the Atlantic and Pacific All-Stars in the official All-Star Game Powered by Intel®. The 2019 Overwatch League schedule will be announced at a later date.